Yes, it's the 24th May here already and according to Douglas Adams' and his guide to the Galaxy, I officially became an answer (for all of you not in the know: this). Anyway... About accompanying picture. 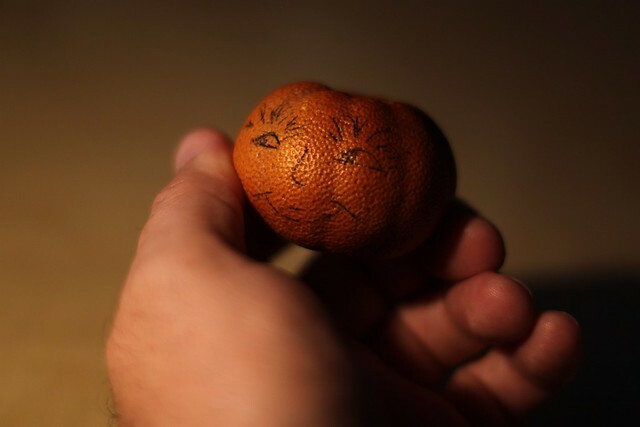 It's a tangerine that one of my colleagues gave to me sometimes during (...it's been a long, cold lonely) winter. It's completely dried, stabilised, it's still carrying a shape of better, long gone times, it's not really juicy any more, but it's still smiling, right? Very happy birthday. Age is just a number. Even if your number is the answer to everything. Ah, I just needed a caption. :) I don't care about age really. I thought of you today. I hope you had a good day. Thanks! :) Weekend was amazing. Congrats and welcome to the 42 club my friend. I've been a member for 5 months myself. Here's to your 42nd trip around the sun! You are a national treasure of Slovenia! Happy birthday, most lovely Tomaz.